Over 130 kids participated in the 11th Annual Children’s Fishing Derby held at the Watford City Fishing Pond on June 6th. The morning’s catch included many catfish, trout and even a few turtles. 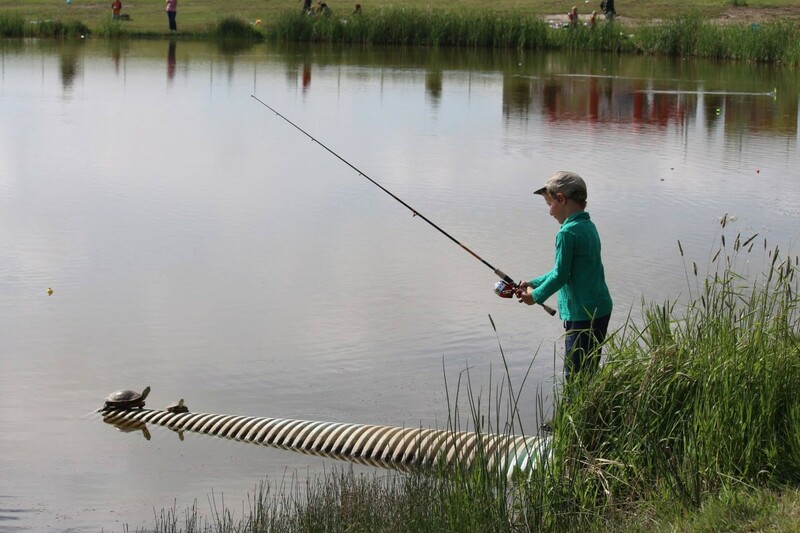 The Children’s Fishing Derby has become a community favorite among kids and families in the area, providing a fun way to enjoy the great outdoors right in Watford City’s backyard. The 3.2 acre Nature Pond located right off of the a bike path, near the Bolken Park and WCHS Football field, was a vision of a city planning team several years ago, a “mini-resort” transformed from the abandoned city lagoon sites into the community asset of a nature park. Today the Nature Pond has become an important staple of the town, stocked with fish available for anyone with a North Dakota fishing license to catch and bring home.